Summer is almost over and I still have corn on my mind. 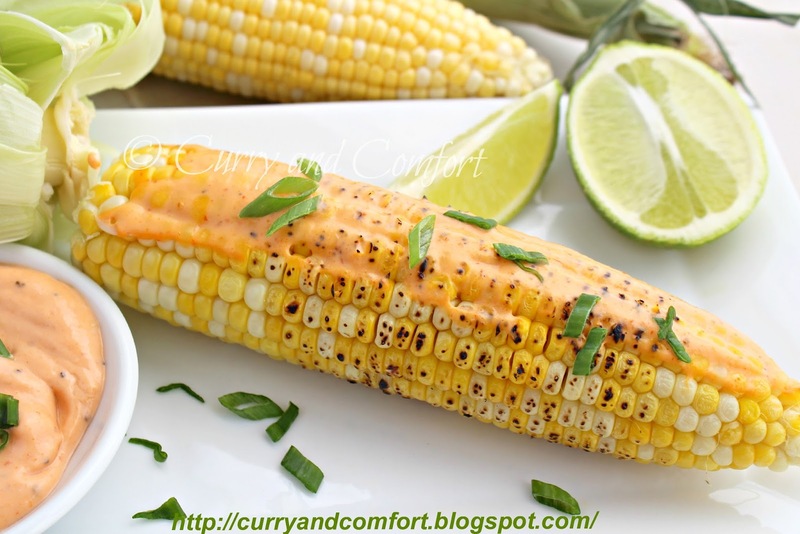 Here is an easy recipe to relish some corn these last days of summer. I love the flavor and look of grilled corn, but I don't have a grill. I also don't like that it takes some time to grill the corn so I decided to find a fast and easy way to get the grilled corn look and eat it with a spicy sauce. I love the microwave method of cooking corn. You can make one ear of corn when ever you get the craving and slather it with some spicy sauce for a quick snack. Microwave corn. See cooking notes below. Place cooked corn on a grill or right on a gas stove top and lightly char the outside of the corn kernels. Apply with melted butter, salt and black pepper. Serve with a slather of spicy sauce. Enjoy. Microwave Corn Method: Husk and clean corn. Place a dry paper towel around corn and run under faucet to wet the paper towel until well saturated. Place on a microwave safe plate and cook in microwave for 3-5 minutes in on high. I like my corn crisp... so 3 minutes is good. I love the ingredients in that sauce. I want some! Holy cow that looks AMAZING! Corn is so amazing this time of year, especially here in central Pennsylvania. Great recipe! My hubby would love love love that sauce. I am going to make it, but lighten it up by using greek yogurt. Thank you for the inspiration! I want to reach into my computer and eat that corn! 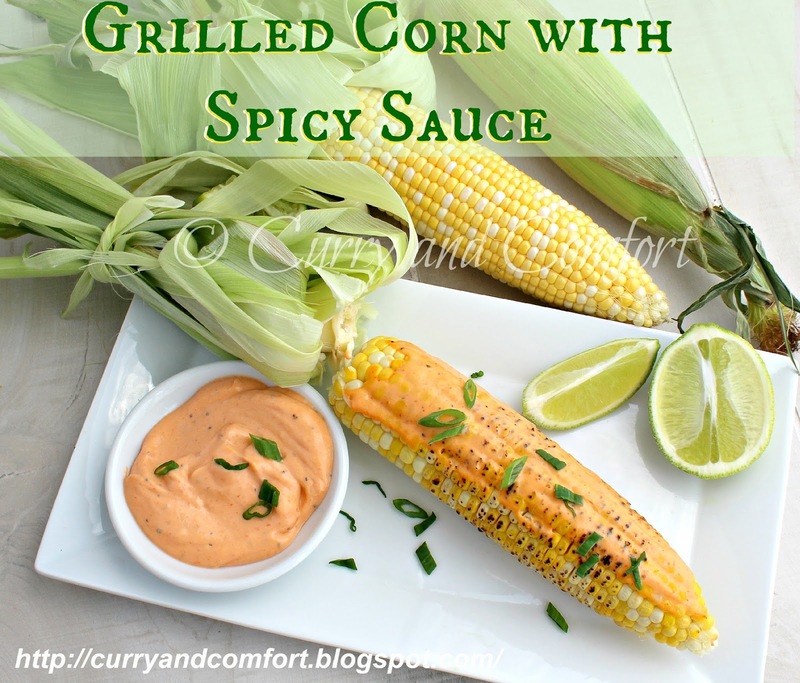 This sauce sounds like the perfect topping for grilled corn! Nice!! Never think of grilling corn. 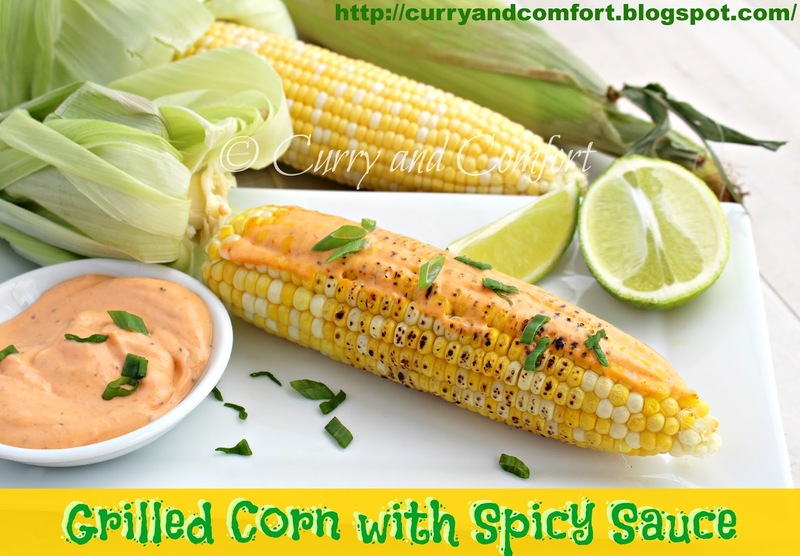 wow i am loving this grilled corn and the spicy sauce a lot :) looks so yummy and tempting me dear !! Grilled corn is the main way we enjoy our corn. This sauce looks fantastic. I am a huge fan of sriacha sauce. The spicier the better. Oh, that sauce and the what went into looks so good. It looks fresh off the grill! You are so clever Ramona and never run out of ideas. you can find gas grills of all sorts to fit your needs, including space saving grills for small yards, luxurious six burners for cooking meals for the whole neighborhood. Know more about the best gas grill .